(Bloomberg) — President Donald Trump has ordered a rescue of the nation’s struggling coal and nuclear power industries, but that doesn’t mean utilities are reconsidering the shutdown of unprofitable plants. Many power generators contacted said Trump’s June 1 announcement hasn’t altered their plans to retire old units even as the administration dangles the prospect of using emergency powers to force grid operators to buy power from struggling plants. “I will tell you it is not a matter of if we are going to retire our coal fleet in this nation, it’s just a matter of when,” Ben Fowke, Xcel Energy Inc.’s chief executive officer, said June 6 at a utility trade group conference. 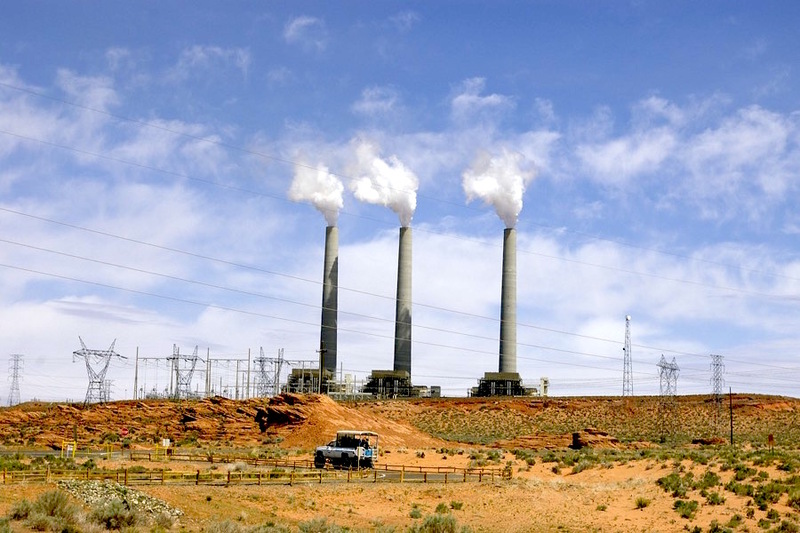 The company announced later that day that it would retire two coal-fired units in Colorado and add thousands of megawatts of capacity from renewable power and natural gas. That trend has been underway for years. Since 2010, nearly 40 percent of the capacity of the nation’s fleet of coal-fired power plants has either been shut down or designated for closure, according to the American Coalition for Clean Coal Electricity, a trade-group that represents coal-fired utilities and mining companies such as Peabody Energy Corp., and Murray Energy Corp.
More than a quarter of U.S. nuclear power plants don’t make enough money to cover their operating costs, raising the threat of early retirements, according to Bloomberg New Energy Finance. Trump ordered Energy Secretary Rick Perry on June 1 to take immediate action to stem further coal and nuclear plant closures in the name of national security. The Trump administration argues that the loss of coal and nuclear plants is harming the dependability of the U.S. power grid and its ability to recover from storms or cyber attacks. But utilities are reluctant to reverse course on plans put in motion years ago or to backtrack on pledges to embrace renewable energy. Plant closures that have been worked out under consent decrees to settle environmental lawsuits or in deals with state regulators also can’t be easily reversed. “Once utilities have gone public and announced what they are going to do they may be at the point of no return unless something extraordinary comes up,” said James Lucier, managing director of research firm Capital Alpha Partners LLC. And there is doubt, too, that the administration’s use of rarely used emergency authority will withstand court challenges. “We don’t think it’s legal,” Abe Silverman, head of regulatory affairs for power producer NRG Energy Inc., said in a phone interview. The Energy Department didn’t respond to a request for comment. Among the companies that said they are going forward with plant retirements despite Trump’s order is Michigan-based CMS Energy Corp., which announced June 13 it was shutting down two coal-fired units at one of its aging coal plants. The company doesn’t intend to change previously announced plans to shut three other coal plants, spokesman Brian Wheeler said. Likewise, utility giant Southern Co. says its plans for future shutdowns won’t be impacted by whatever the Trump administration puts forward, Schuyler Baehman, a company spokesman said. Even FirstEnergy Solutions Corp., the Ohio-based power generator that requested an emergency bailout for its money-losing plants says it still plans to retire four coal units and three nuclear reactors, said spokesman Thomas Mulligan. Plans to retire four coal units and three nuclear reactors. New Jersey-based PSEG Power, for instance, won’t halt its move to close Connecticut’s last coal-fired power plant by 2021, spokeswoman Melissa Ficuciello said by email. And nuclear plant operator Exelon Corp. said it would move forward with shutting down its 625 megawatt nuclear reactor at New Jersey’s Oyster Creek Generating Station, as part of a deal with the state. The reactor, which is the oldest commercial nuclear power plant in America, will permanently shut down this October. Overall, Moody’s Investors Service estimates that the 35 gigawatts of capacity from coal and nuclear plants scheduled to be shutdown in the next five years will be more than made up for by the 104 gigawatts expected from natural gas and renewable projects in the works. To be sure, others utilities weren’t so quick to write it off the Trump administration’s plans. And others said they wouldn’t be able to make a decision until more details come to light. Chris Crane, the CEO of Exelon, the country’s largest nuclear operator, told Utility Drive on the sidelines of the Edison Electric Institute convention in San Diego earlier this month there’s no grid emergency to justify the bailout of coal and nuclear plants. Later at the same conference, he said he wants the Trump administration to act on the plan. “I don’t know how you call it, emergency or non-emergency, but we want action. This administration supports action. We support this administration,” Crane said. Columbus, Ohio-based American Electric Power Company Inc. said it is likely to seek approval from regulators to shut its three-unit, 1,600 megawatt coal-fired power plant in Conesville, Ohio if it doesn’t qualify for subsidies or “there are not other changes in the market,” company spokeswoman Tammy Ridout said in phone interview. But that doesn’t signal a wholesale shift in direction. Plans to close another 450 megawatt coal unit at the company’s Northeastern Plant in Oklahoma in 2026 due to a regional haze settlement are proceeding as planned. AEP has retired 7,200 megawatts of coal power since 2011, and announced plans to invest heavily in natural gas and renewables. “I think from our perspective we will continue moving toward a clean energy economy,” AEP Chairman Nicholas Akins said in an interview. “When you look at the future and the investment potential and the risk associated with these investments by far the best approach is with natural gas, renewables and in fact technology."